A week after he became the first person to be tried under India's new Fugitive Economic Offenders Ordinance, the former King of Good Times Vijay Mallya took to Twitter this afternoon to put forth his side of things. A week after he became the first person to be tried under India's new Fugitive Economic Offenders Ordinance, the former King of Good Times, Vijay Mallya, took to Twitter this afternoon to put forth his side of things. "I have been accused by politicians and the media alike of having stolen and running away with Rs 9,000 crores that was loaned to Kingfisher Airlines (KFA). Some of the lending banks have also labelled me a wilful defaulter," he said in his media statement, adding that the probe agencies have filed chargesheets against him "with various untenable and blatantly false allegations acting at the behest of the Government and lending banks". Mallya goes on to put forward several "facts" that he claims beg the "fundamental question of whether the Government wants me to repay the public sector banks or not". According to Mallya, KFA had taken loans totalling Rs 5,500 crore from a consortium of 17 banks led by the State Bank of India. Of this, he claimed that, "Recoveries in excess of Rs 600 crores have since been made through the sale of pledged assets and a further Rs 1,280 crores has been lying deposited with the Hon'ble Karnataka High Court since 2013". In December 2010, when "the airline industry in India, as a whole, was undergoing great stress", Mallya pointed out that all the loans were restructured and consolidated under a Master Debt Recast agreement with permission from the Reserve Bank of India. "As late at January, 2012, SBI wrote to RBI explaining that the position was beyond KFA's control whilst, inter alia, confirming that the promoters (UB Group) had infused substantial funds into KFA. A copy of this letter from SBI is also being made public," he added. Post the failure of KFA "due to circumstances beyond its control", he said the consortium approached the Debt Recovery Tribunal [DRT] to recover around Rs 6,200 crore, including unapplied interest. Significantly, Mallya claimed that "It is important to note that the principal amount involved remains at approximately Rs 5,000 crores (less the recoveries made from sale of properties and other recoveries made by the Recovery Officer, DRT) as against the various inaccurate amounts appearing in the media." The liquor baron then proceeded to build a case against the "wilful defaulter" tag that United Bank of India slapped on him back in 2014, prompting other banks, including SBI, to follow suit. He claims that he made two "settlement offers" to the banks, "on 29th March, 2016, and 6th April, 2016", after they moved the Supreme Court but both were rejected. His first offer, in his own words, was for Rs 4,000 crore, "plus the assignment of a claim in a pending suit of approximately Rs 2,000 crore" against the lenders' claim of Rs 6,200 crore. He added that he subsequently revised his offer to Rs 4,400 crore but maintains that his offers "need to be viewed in the context of One Time Settlements made between Public Sector Banks and Borrowers in the past and more recently the Bank partial recoveries with significant haircuts under the Indian Insolvency and Bankruptcy Code". Playing up the victim card, Mallya claims that his revised offer had been rejected outright by a junior SBI officer present in Court "without reference to any of the other banks". Mallya says that he subsequently penned three letters to the Chairperson of SBI seeking settlement discussions, and given the above he "respectfully" submits that his conduct does not amount to 'wilful default'. "The bulk of the claim of the Public Sector Banks is on account of interest. On account of various injunctions, attachments and the refusal to grant permissions to sell available assets, the interest keeps mounting. Consequently, the bloated figure of outstanding dues to the Banks is largely on account of these mala fide actions," he claimed in his statement. 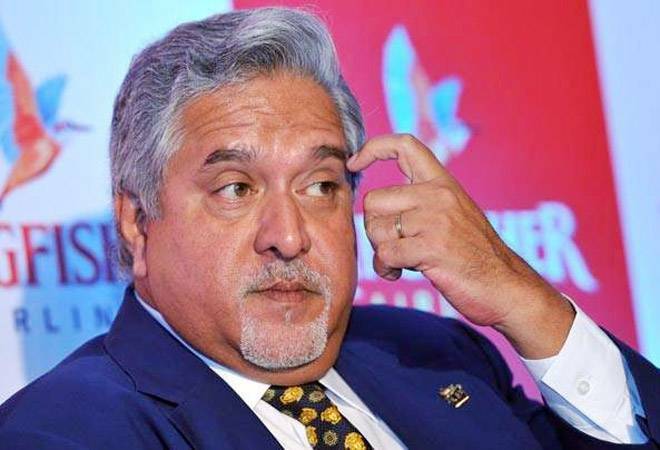 Interestingly, Mallya claims that on June 22, he along with his company United Breweries Holdings Limited (UBHL) filed an application before the Karnataka High Court "setting out available assets of approximately Rs 13,900 crores". He claims to have sought the court's permission to "sell these assets under judicial supervision and repay creditors, including the Public Sector Banks such amounts as may be directed and determined by the Court", adding that a copy of this application is also being made public. Accusing the government of a "witch hunt" against him, Mallya added that "If the criminal agencies such as ED or CBI object to my proposal, and object to the sale of assets, it will clearly demonstrate that there is an agenda against me beyond recovery of dues" owed to the banks. Mallya also claims to have penned letters to wrote letters to Prime Minister Narendra Modi as well as the then Finance Minister Arun Jaitley on April 15, 2016, but is still awaiting a response. Playing the victim card, a final time, he sums up his statement by saying that "I respectfully say that I have made and continue to make every effort, in good faith to settle with the Public Sector Banks. If politically motivated extraneous factors interfere, there is nothing that I can do."